Drive across Sarasota’s Ringling Bridge on a Thursday morning and to the north you will see dozens of sailboats on the bay. Stop at Bird Key Park at the base of the bridge and you will hear laughter coming across the water. And the occasional call, “Starboard.” The Luffing Lassies are racing, as we do every Thursday from September through May. 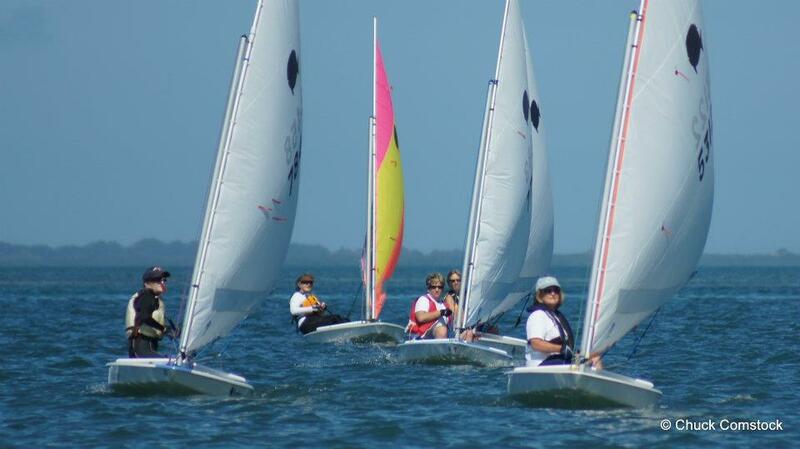 An established women’s sailing organization since 1972, we compete against one another in Sunfish and 420’s and Flying Scots. 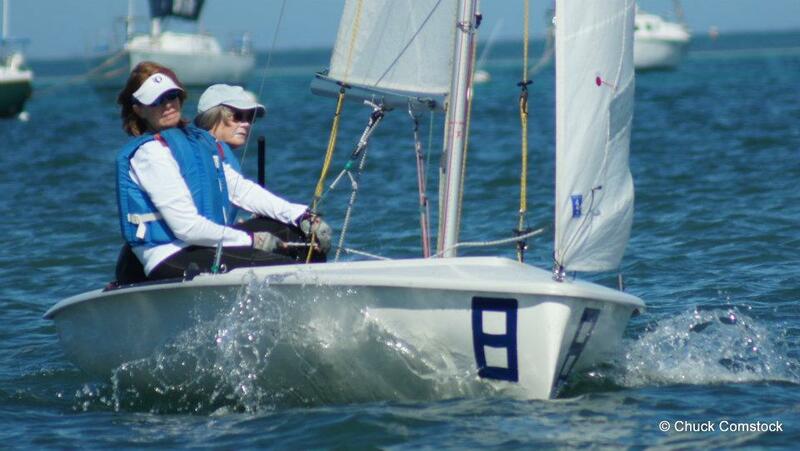 Many of us also compete against other sailors, men and women alike, at Florida and US and even World events. We learned to sail or polished our skills at the Luffing Lassies’ annual Introduction to Sailing week. At the end of every summer, Luffing Lassies veterans and instructors introduce a new crop of sailors to joy on the water. Each woman learns to skipper a boat, on her own, within a matter of days. And she will be racing that boat after just a few weeks. This is the process, time tested: Women teaching women how to sail. It works. 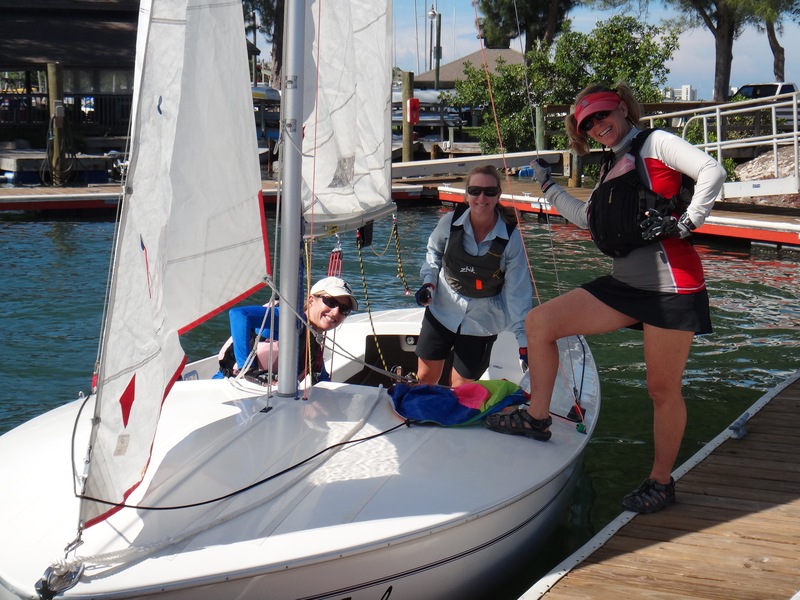 When not racing, rigging, learning or sailing for fun; Luffing Lassies are an integral part of the Sarasota Sailing Squadron where all this activity happens. 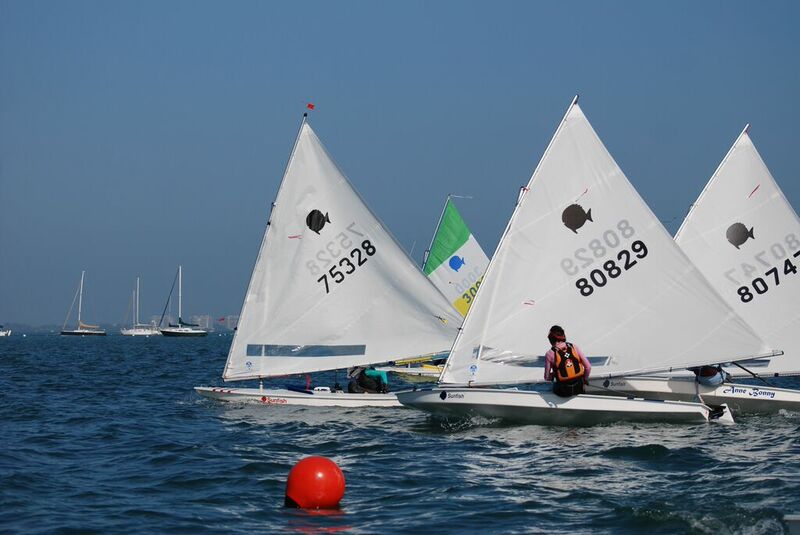 The Squadron hosts many international and national regattas and competitive sailing qualifiers. Events like that need qualified, knowledgeable volunteers to help with everything from registration to race committee. 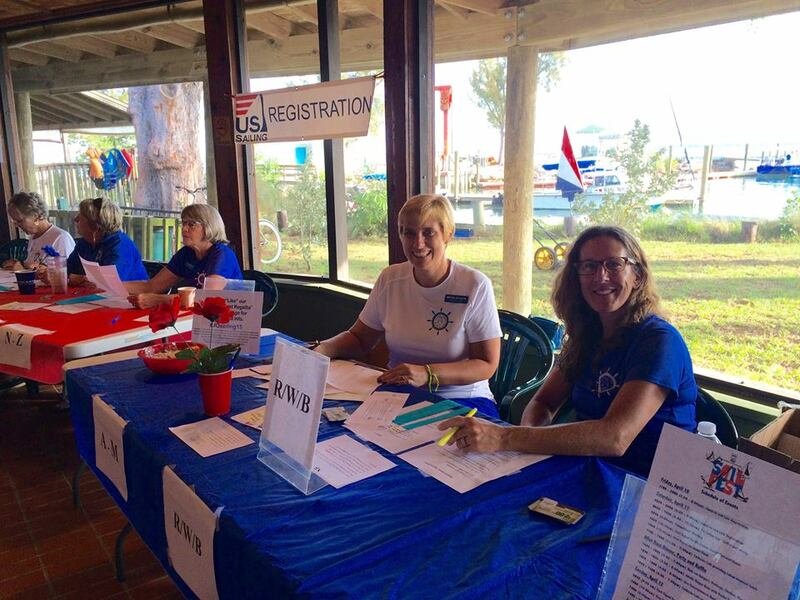 Luffing Lassies help the Squadron host these events and we serve in many volunteer capacities. The two organizations know the value of one another and have been partners for decades. Join our group and you will learn to sail your own boat. And you will become part of an accomplished group of women who do a lot more than sail; we sell real estate and teach and practice law and raise children and spoil grandchildren. We are health care professionals, we run businesses and thrive in the arts. All of us share an enthusiasm for sailing. Luffing Lassies know how to have fun. Salty and sweaty, bruised and scraped, after a morning on the water, we might share a brown bag lunch on the dock. And maybe a cold beer. Several times a year we clean up nicely and have memorable parties to celebrate holidays and the sailing season itself. We don’t Luff and we aren’t Lassies but we do respect tradition and Luffing Lassies is the name given us by our founders more than 40 years ago. We’re proud of where we came from and who we are today. Come sail with us. If you don’t know how, we’ll teach you. Welcome to the Luffing Lassies! We don’t Luff and we aren’t Lassies but we do respect tradition and Luffing Lassies is the name given us by our founders more than 40 years ago. We’re proud of where we came from and who we are today. Come sail with us. If you don’t know how, we’ll teach you. Welcome to the Luffing Lassies!